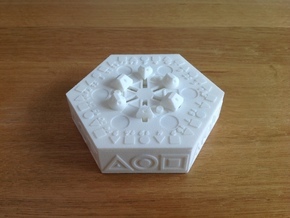 This is a version of the Customized Spinning Bauble Ornament that has the preset message "MERRY CHRISTMAS" in the center. If you want your own custom message to be on the inside or see a more detailed description and video on these designs then see the original design. 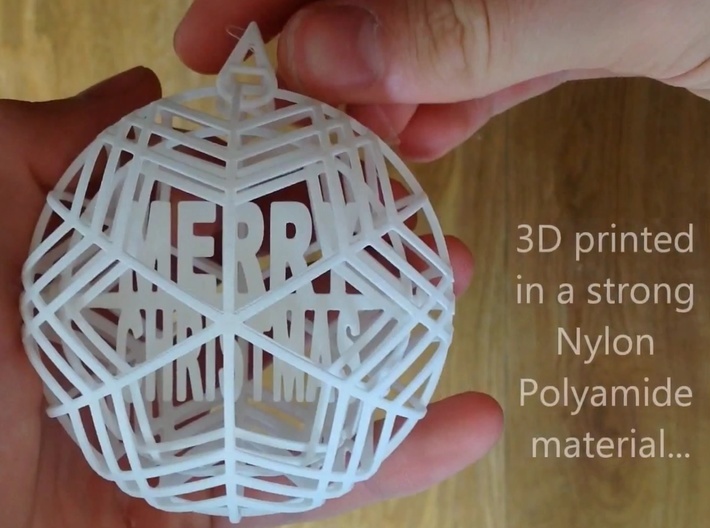 This is a 3D printed spinning bauble ornament: within both of the two balls, which are modeled in the style of intricate snowflakes, is the trapped text "MERRY CHRISTMAS" in the center. The inner of the two balls freely rotates on an axle and spins if you blow on the top or bottom edge of the inner ball (using a stray is easier but it works well without) creating an interesting optical effect. 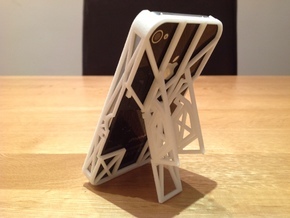 This design can be manufactured in no other way than 3D printing as it exploits the technology's incredible ability to trap objects within objects and create moving parts within a design. 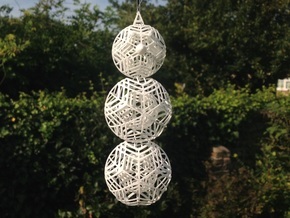 There is a small grappling hook styled attachment at the top which allows a piece of string or thread to be attached to the ornament so it can be hung up. 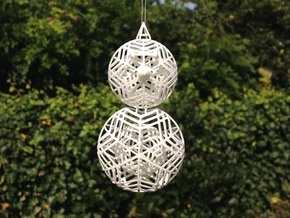 This ornament is designed by myself then 3D printed on demand for you, it is 3D printed in one go and comes out of the 3D printer already fully assembled!